The variety of luggage material on offer is greater than most of us realize. There is not a single best material for luggage. Your luggage can be made from as different materials as polyester, aluminum, ballistic nylon, polycarbonate, leather, polypropylene, etc. Each material has its own pros and cons. Leather is for example extremely durable but it is heavy while nylon is lighter but still quite durable. Some materials are also easier to maintain and clean than others. However, the first thing to decide is if you should go for soft or hard external luggage material. Should You Buy Soft Or Hard Sided Luggage? Modern technology and innovative design has made hard-sided luggage easier and cheaper to make. Meaning the difference between soft and hard material has become less apparent. Nowadays you can get similarly durable, lightweight, and priced, soft and hard-sided luggage. It can therefore be only a matter of preference, which type of material to go for. Hard-sided luggage though still offers the best protection while soft-sided luggage offers more flexibility (can be expandable with external pockets, etc). Our soft or hard-sided luggage guide will help you to decide which type of luggage is the right one for your travel needs. The most popular luggage fabric for soft-sided suitcases and bags are ballistic nylon, cordura and polyester. The nylon fabrics (ballistic and cordura) are frequently used in top quality soft luggage, while polyester is the most popular fabric for the cheaper luggage ranges. Ballistic nylon is thick synthetic nylon fabric. Ballistic nylon is very durable and easy to clean. Its' ability to resist abrasion and tearing makes ballistic nylon popular material for luggage that has to be able to withstand considerable beating. On the downside, ballistic nylon is hard to dye, so there are less color choices. Ballistic nylon luggage usually comes in black or similarly dark colors. Cordura nylon is another great soft luggage fabric. Cordura is best known for its durability and resistance to abrasions, tears and scuffs. Cordura weighs slightly less than ballistic nylon and takes dye easily, meaning you have much more color choices. Cordura is also more abrasion resistant, but ballistic nylon offers higher tear strength. Polyester is the cheapest of the soft material option. 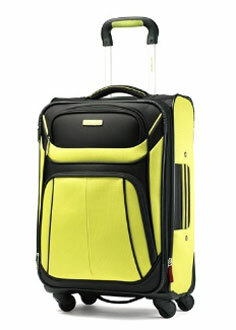 Most luggages in the lowest price ranges are made with polyester fabric. The quality of polyester bags can vary but they can be excellent value for money. The best indicator of the durability of fabric material is the denier rating as it tells you the fiber thickness of the fabric. The higher the number is, the thicker the fiber. The thicker the fiber is, the heavier (and stronger) the fabric. For larger and much used luggage, you should look for something in the 500 – 2,000 denier range. Bear in mind that the higher the denier rating, the heavier the material is as well. Higher denier rating does though not always mean better luggage material. That depends as well on the type of fabric. For example, ballistic nylon and cordura nylon are always superior to polyester in fabric quality. All hard luggages are durable and therefore offer the best protection of the items inside. The most popular hard material is polycarbonate, aluminum, ABS and polypropylene. 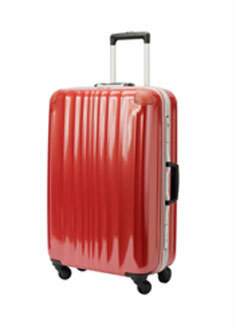 The aluminum suitcases are at the top of the range (durability, price), followed by polycarbonate, polypropylene and ABS. Aluminum suitcases have been around for a while and are classic choice. However, they are expensive and therefore increasingly being replaced by other less expensive hard materials. Polycarbonate is molded type of thermoplastic polymers and is very popular material for hard luggage. It is lighter than aluminum but still very durable and offers more style choices, e.g. in colors and patterns. Another important benefit of polycarbonate as luggage material is how impact resistant it is. Upon impact, the material flexes to absorb the impact and then flexes back to its original shape, making polycarbonate luggage extremely resilient to rough handling. Polypropylene, or polypropene, is also type of thermoplastic polymer and the lightest of all the thermoplastic products, making it ideal material for any lightweight luggage range. Polypropylene is also very resilient (though not as much as polycarbonate). Polypropylene is great choice for those travelers that want good protection in as lightweight form as possible. ABS is frequently added to other stronger luggage materials, e.g. polycarbonate. The combined material is more durable than ABS on its own but also lighter and cheaper than polycarbonate on its own. There is no single best material for luggage. The different materials have different strengths and weaknesses. You should choose your luggage material based on which features matter most to you, e.g. durability, price, weight, etc. The following table ranks the main features for the most popular materials on the market today in ascending order, i.e. based on the description in the brackets. Is Soft Or Hard Sided Luggage Right For You?